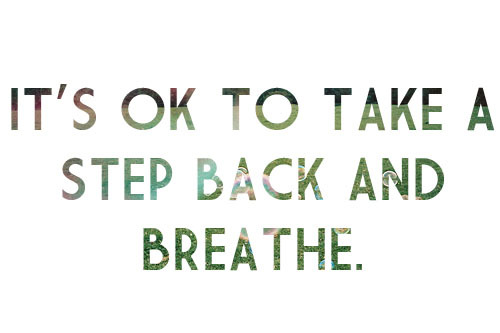 It’s OK to take a step back and breathe. How often do we work harder on our problems, immerse ourselves completely and push push push? I’m opting for more of the complete opposite – to take a step back and breathe. This allows space for possible solutions and things I could never have considered by being so close that there is no room for a different perspective. Sometimes when you are so deep in a situation or thought, your view becomes incredible narrow. It also allows your subconscious mind to go to work which is infinitely more powerful than the limited rational reasoning mind. It seems counter intuitive, but next time you find yourself worn out, troubled or unsure, why not simply take a step back and breathe? Once I completely quit Scratch DJing. I had had enough, I wasn’t progressing. I never wanted to scratch again! I packed up all my equipment with the thought of never Scratch DJing again. I then explored other things, culminating in taking 2 months unpaid leave from my job at that time, then spent a month travelling around the UK surfing and hanging out with friends before spending 1 month working on a surf camp in San Diego, Californina, which basically involved me helping take care of kid surf campers and then surfing for 5 hours a day and living a very fun chilled life. Whilst I was away I actually really missed DJing. When I got back, I got my turntables out again and to my surprise, I was better than I was before I quit. I could perform techniques that I was struggling with previously. The break allowed my brain to process all the knowledge I had in a non – forceful manner. I had given up attachment and therefore relaxed. Everything seemed new again which meant that I was inspired. Why not ask yourself is there anything you need to take a step back from and breathe today? You’ll know exactly why you received this message today. « Are You Seeking Creative Ideas?